Did you know that National Lipstick Day is July 29? Save.ca has a new coupon to celebrate! 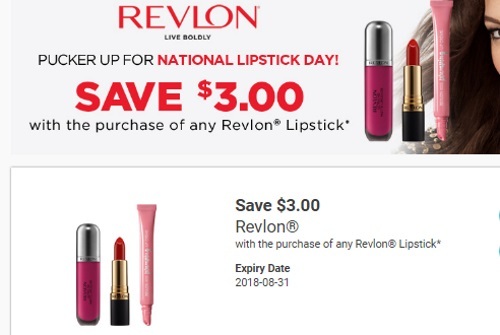 Get $3 off when you purchase any Revlon lipstick! This is a mail and print coupon, available while quantities last.